The EV220B 6-22 is a high performance, robust valve programme. 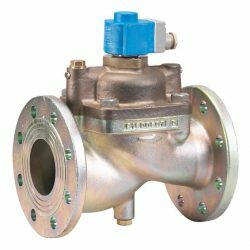 The EV220B 6-22 is the softest closing valve on the market. It has been designed with an optimised diaphragm shape, added reinforcement for internal damping, and a special damping cone to ensure viscous damping in the critical late closing stage. The optimised diaphragm shape shape gives a very high lift height, providing excellent capacity and tightness at any pressure. A number of coils, ranging all the way from 24Vac to 380-400Vac. 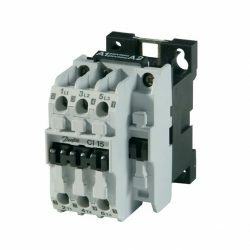 12Vdc and 24Vdc are also available. A range of cable plugs and accessories are also available to suit the coils. Please contact us to enquire about Coils and Accessories. 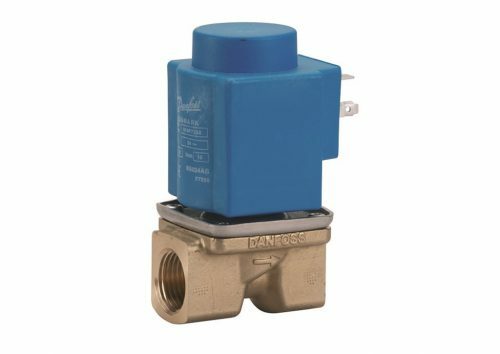 The EV220B 6-22 is the softest closing valve on the market. It has been designed with an optimised diaphragm shape, added reinforcement for internal damping, and a special damping cone to ensure viscous damping in the critical late closing stage. The optimised diaphragm shape shape gives a very high lift height, providing excellent capacity and tightness at any pressure. The EV220B 6-22 is also highly insensitive to dirt. The square armature design enables the armature to move freely and reduces the risk of dirt particles lodging in the armature. If particles do lodge between the armature and the armature tube walls, they are quickly displaced by the fluid when the valve is activated. The EV220B 6-22 is available in two body materials. The brass version is ideal for applications with a limited risk of corrosion. Tougher applications should use versions with dezincification resistant brass (DZR brass) bodies and stainless steel inserts. The EV220B range is compatible with the broad Danfoss B-Range of coils with enclosures from IP00 to IP67, including the clip-on system and specialty coils, making it easy to select a coil with the right features. The special ATEX coil programme is ideal for hazardous environments. Made especially for OEM applications demanding a robust solution and moderate flow rates. For water, oil and compressed air. High lift at any differential pressure. Two body-types available: Brass and DZR Brass. Insensitive to dirt, with an effective “flush out” application if dirt particles are to get stuck between the armature and the armature tube walls. NC (Normally Closed) or NO (Normally Open). 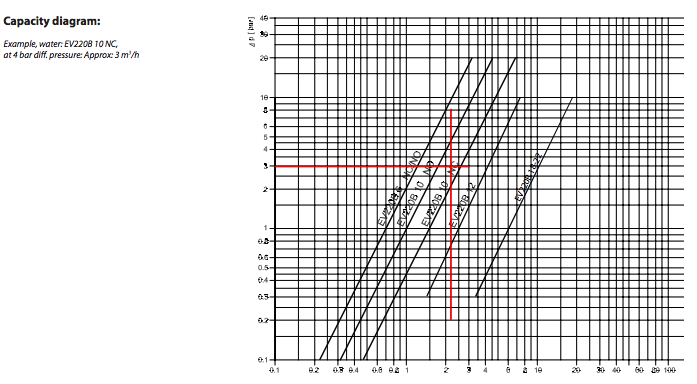 From 0.1 differential pressure to 30 bar differential pressure. ISO 228/1 or NPT thread connections (EVSI and EVSI-U).